For GIBS Grooming chief executive officer Brian ‘Gib’ Long, it’s been a long, strange trip to the grooming industry. Entrepreneurial in nature, he has instinctively capitalized on voracious consumer demand throughout his career. And there are no more voracious consumers than hungry Deadheads outside of Grateful Dead concerts, where a teenage Long made enough hawking veggie burritos and tie-dye T-shirts to support himself on the road following the band for some six years. Along with Federici, Long tapped Greg Rubin, CEO and owner of beauty product manufacturer Garcoa Industries, and Mike Nave, a consultant and editor of the Beauty Industry Report, to assist in the formulation of the beard oil. 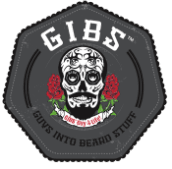 In June of last year, GIBS Grooming released its beard oils. They contain a blend of sunflower, olive and Argan oils, and are available in three masculine scents: VooDoo Prince, Bush Master and Manscaper, which has an earthy, yet sweet pipe tobacco smell that’s Long’s favorite.